Australia’s main renewable energy funding body is watching an AGL Energy project to see if it could be a blueprint for virtual power plants countrywide. The AUD $20 million (USD $15 million) virtual power plant (VPP) being implemented by Sydney-based utility AGL will be made up of aggregated residential PV and battery units connected via a single software platform. "This project could act as a catalyst and provide evidence for regulatory change to enable more Australian virtual power plants,” said Ivor Frischknecht, CEO of the Australian Renewable Energy Agency (ARENA). 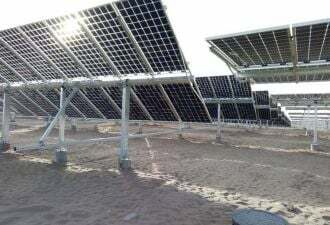 The 5-megawatt, 7-megawatt-hour project, which includes AUD $5 million ($3.8 million) of support from ARENA, is set to include 1,000 PV-and-storage systems upon completion in the second quarter of 2018 and is claimed to be the largest of its kind to date. "This project is set to be the largest demonstration of a virtual power plant in the country and the world," said Frischknecht. AGL said the first phase of the project, covering 150 battery systems in Adelaide, South Australia, will “launch shortly” and should be operational by April 2017. ARENA said AGL has already been fielding inquiries from potential customers and would be implementing the project over 18 months, in three six-month phases. 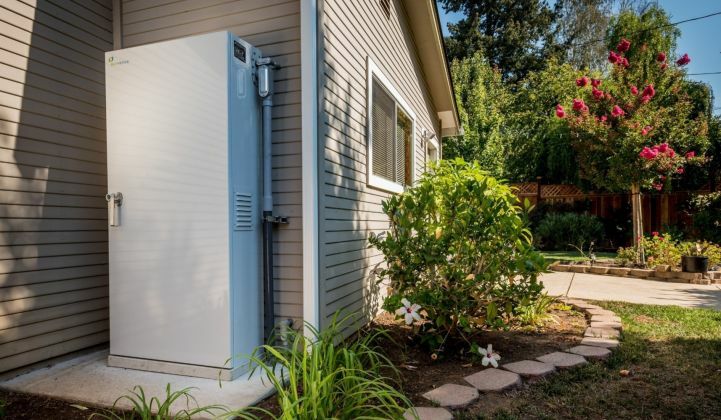 For the first phase, AGL customers will each be offered a 5-kilowatt, 7-kilowatt-hour Sunverge Solar Integration System storage unit for AUD $3,499 ($2,687). This could help customers reduce their electricity bills by around AUD $500 (more than USD $380) a year, said AGL in a written response to GTM. “That equates to an approximately seven-year payback, which is a very attractive proposition." It is not clear how much AGL will charge for the storage systems after the first phase of the project. AGL said it is “treating this as a customer-focused project” where “increased solar self-consumption is paramount,” but would also be looking into the potential benefits for the network and market as a whole. Virtual power plants have been under development in Germany, the world’s leading residential storage market, for a number of years by companies such as Caterva, Fenecon, Senec-IES and Next Kraftwerke. Hamburg-based LichtBlick pioneered the concept with decentralized combined-heat-and-power units and by June 2015 was reported to have amassed 1,000 of them, rated between 20 kilowatts and 1.5 megawatts, in a single virtual power plant. Applications are expanding in Germany with the appearance of new players such as Sonnen, which last year launched a virtual power plant for its 8,000 German customers. Virtual power plants are also proving increasingly of interest in other storage markets. In the Nordic countries, for example, Finnish utility Fortum is piloting the concept with storage assets including a 2-megawatt, 1-megawatt-hour storage project using lithium-ion batteries from Saft. And in the U.S., Advanced Microgrid Solutions is aggregating behind-the-meter storage, and New York utility Con Edison is building a 1.8-megawatt, 4-megawatt-hour virtual power plant by pulling together more than 300 residential solar-plus-storage systems. The Con Edison project, unveiled in June and with equipment supplied by SunPower and Sunverge, was believed to have been the largest solar-plus-storage virtual power plant up until AGL’s announcement this month. Given the growing interest in virtual power plants worldwide, it is perhaps surprising that Australia, with its burgeoning residential solar and energy storage market, is only just launching its market. The scale of AGL’s project shows the country is serious about the concept, though. "ARENA expects virtual power plants to play a significant role in the future as more renewable energy is connected to our power networks," said Frischknecht. "The knowledge [from this project] would show a path to commercialization and present lessons that regulators and other energy companies can learn from."